This course is meant for beginners with little or no experience in the markets. Advanced traders should take Money Learning Academy's Advanced Trading Concepts course. Do you want to get rich trading stocks for a living? Well you won’t get there following fake gurus who are not real traders or who are failed traders trying to make money by manipulating you out of yours. These gurus will harm your trading long term and cause you to declare making money in stocks impossible, and give up a profession you could find rewarding. The fact is, 9 out of 10 people lose all the money they put into the stock market. With the odds stacked against you, you need to learn from real traders that have made money trading stocks and not fake gurus who guarantee you results. I’m an experienced stock trader and the founder and CEO of Money Learning Academy, where I train people on the art of stock trading for a living. I will give you a REAL course on stock trading, including over an hour of live trading with me so you can see the principles learned in the course applied in real-time trading. At all times in the course, I promise to be honest with you and never “guarantee” you results or say stock trading is “easy” when all professional traders know full well most people will fail and give up. I will also do something no other stock trading courses do: I will describe the deep manipulation of the stock market by market-makers, large institutions, and high frequency trading algorithms. No other courses discuss these concepts because if they did, you wouldn’t buy the course, or worse, the people making the course are not real traders and are not aware how manipulated the market has become. Making money trading stocks is a difficult profession and not everyone is cut out to do it. 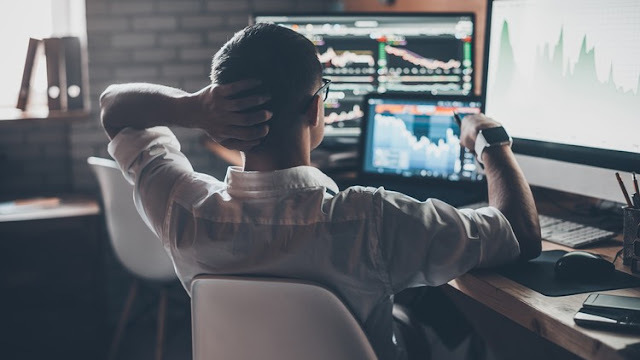 You would not expect a lawyer or doctor to simply read some books and watch a few courses and dive into their profession, and stock trading is no different. In the course we will go through the steps you need to take so that you can, first, become consistently profitable, and then become wealthy trading stocks. It is a long, difficult, process. One that takes years of practice. But nothing great in life comes easy or fast. If you want easy, go to Las Vegas and play blackjack. You would have better odds than playing the stock market with an attitude of easy profits. But if you want to learn how to really make money trading stocks from someone that has done it, then purchase the course, watch it twice, follow the advice on how to practice before investing any real money, and if you work hard, are dedicated, and learn to control your emotions, you can get wealthy trading stocks for a living.